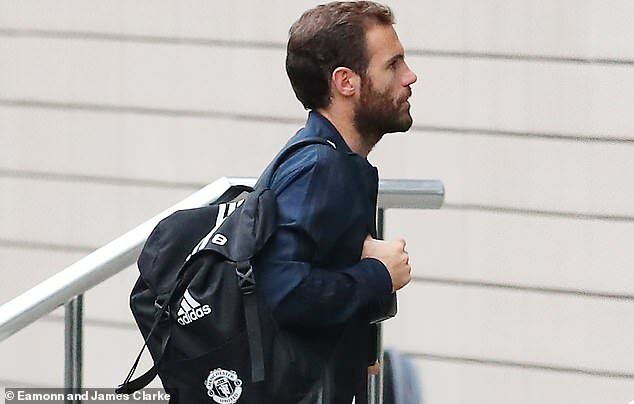 Manchester United’s players arrived at the Lowry Hotel ahead of Champions League clash with Valencia. 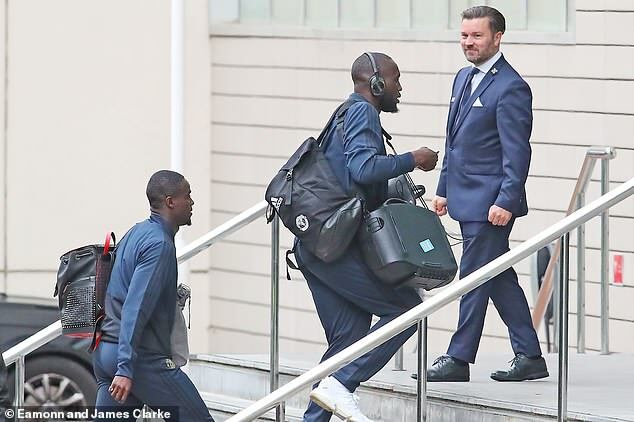 Nemaja Matic and Co hauled their luggage up the steps and into the building ahead of Tuesday’s Champions League clash with Valencia. 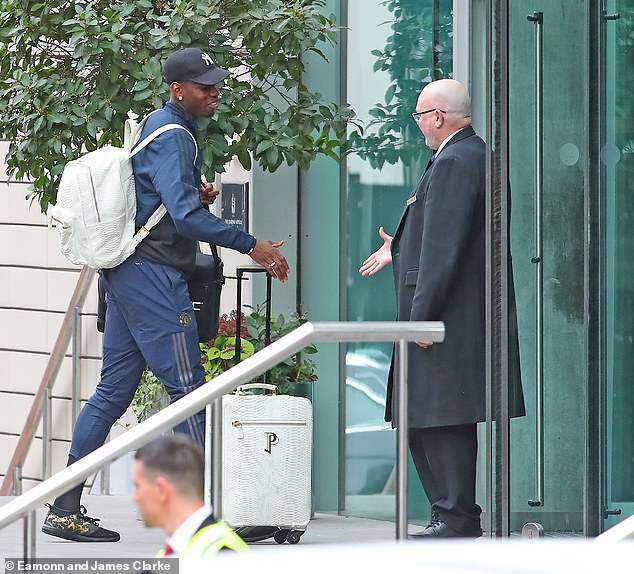 Pogba carried his personalised white and gold suitcase and rucksack, with his monogram PP emblazoned on the front and he took the time to shake hands with the doorman upon entry to the hotel. 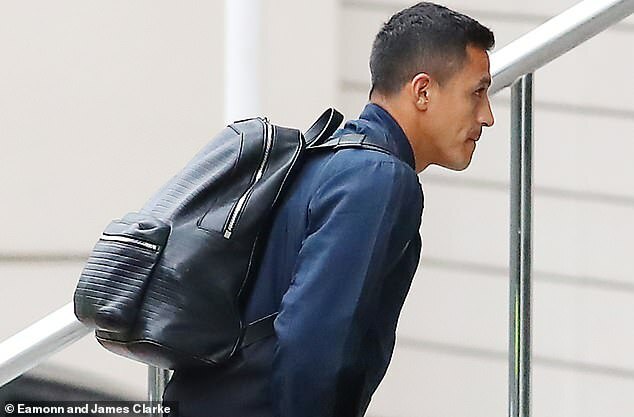 His gear was created in the same style as the white tracksuit he wore in the stands during United’s defeat by Derby in the Carabao Cup. The Frenchman came under fire for posting a video of himself smiling with Andreas Pereira during the game before Frank Lampard’s side won on penalties. Pogba, Romelu Lukaku and Co are under mounting pressure after a poor start to the season, with the 3-1 defeat by West Ham on Saturday only intensifying the situation. Jose Mourinho is fighting to save his job after seeing his side eliminated from the Carabao Cup before the painful loss inflicted by Manuel Pellegrini’s men. Pogba’s relationship with Mourinho is at the heart of the discord in the group amid their torrid start to the campaign. In his press conference ahead of the Valencia clash, the Portuguese hit out at members of his squad who aren’t as committed as they should be. He said: ‘I think some care more than others. After 20 years of football, I am still the kid that I was 20 years ago and I am still naïve, but I still don’t believe that a player is not honest. ‘There were big players in the past and I ask these people with great reputations if at any time in their careers they went to a game not to give the maximum, not to help the club, not to make the fans happy and not to try his best. ‘If somebody tells them “I was a football player and I didn’t give my best” then I change my opinion,’ he added.